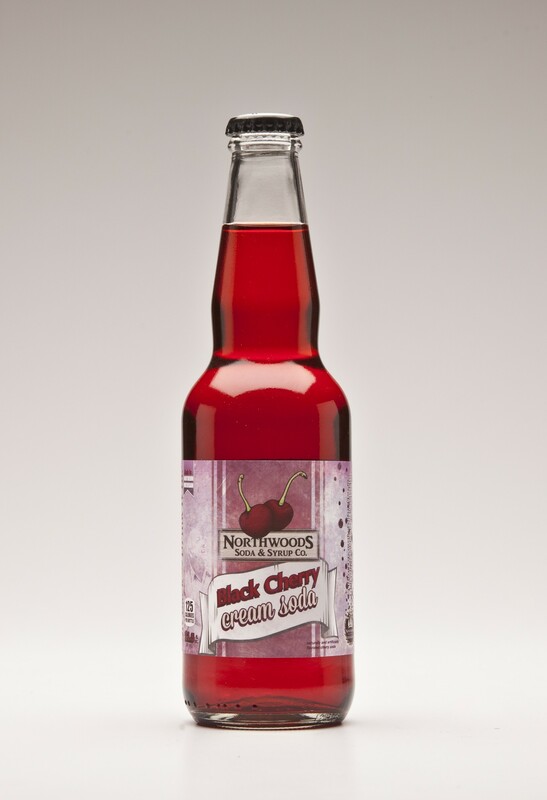 Wild Bill's Black Cherry Cream - Cherry Gift Ideas - Northern Michigan Gifts--Traverse City, too! *This item ships directly from Northwoods Soda & Syrup. For over 25 years Northwoods Soda has been creating exceptional soft drinks in the Grand Traverse Area. Less than 5 years ago we decided to take our years of fountain soda experience and apply it to bottled pop. The result is a handful of rich flavorful beverages that will remind you of a bygone era. Where people didn't pinch pennies and focus solely on balance sheets. One sip and you'll appreciate what a little extra flavor and an extra pinch of sugar can do. We hope that whereever you enjoy our soda pop you can Sit Back and Drink it In. Made with cane sugar our flavors are sold and shipped in 12 pack cases.